1. Mote, Danny Paralyzed [unissued] uniss. 2. Mote, Danny Oh Baby [unissued] uniss. 3. 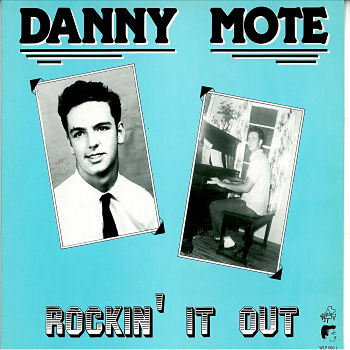 Mote, Danny Roll Over Beethoven [unissued] uniss. 4. Mote, Danny Love's Gonna Live Here Again [unissued] uniss. 5. Mote, Danny Lonesome Opal (Ga.) 001 1961/Mar. 6. Mote, Danny Twistin' Dog [unissued] uniss. 7. Mote, Danny I Took Her Home [unissued] uniss. 8. Mote, Danny Since I Met You Baby [unissued] uniss. 9. Mote, Danny Ditch Digger [unissued] uniss. 10. Mote, Danny Done You Wrong Opal (Ga.) 001 1961/Mar. 11. Mote, Danny Josephine [unissued] uniss. 12. Mote, Danny Shakey's Theme [unissued] uniss. 13. Mote, Danny I Feel So Bad [alt. vers.] [unissued] uniss. 14. Mote, Danny I've Got Swinging Doors [unissued] uniss. 15. Mote, Danny Cold Cold Heart [unissued] uniss.